With over 90 years of combined experience Marenna Amusements of Orange, Connecticut works hard to make sure that you have the best experience while on our midway. 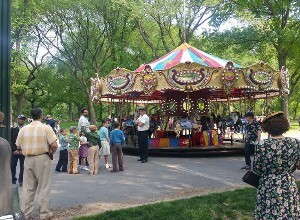 In 1994 George Marenna Jr and George Marenna III purchased and fully refurbished a 1969 Merry Go Round from top to bottom. This was just the beginning of Marenna Amusements, since 1994 many rides, games and concessions have been added to create a well-rounded experience for both young and old. We pride ourselves in what we do and there are some things that set us aside from other shows. We do not travel with any bunk house or house trailers, all of our show staff commutes back and forth. There is always one paid security guard on site during overnight hours to look after equipment. There are always two or more generators on site so there is no downtime in case one breaks down. All games and concession are owned and operated by Marenna Amusements; we do not book in any outside concessionaires and we have the largest traveling gondola wheel and swing rides in Connecticut. There is always an owner on site for hands on management and we follow a strict vetting process during hiring our employees and we choose to pay top wage in an effort to preserve a high caliber of staff. 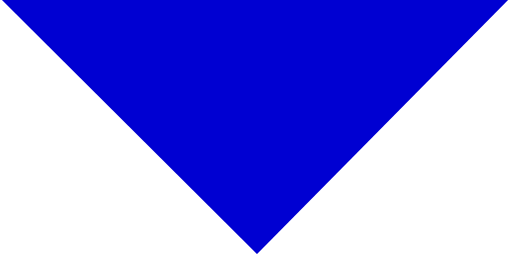 As well as all employees being required to wear uniforms while open and hard hats and safety gear for set up and tear down. We also do not tolerate any smoking onsite. We run a full time shop on site for repairs, general maintenance, and technical support. We also have a shop (Winter Quarters) to do ride refurbishment as well as major maintenance projects. We are fully insured for your safety and ours. All of our rides are inspected every day for the safety of our guests. In 2011 our Yo-Yo swing was awarded best major ride out of 50 rides at the Fryeburg Fair in Maine. We operate March thru November with the outdoor show, with indoor locations operating year round. We never close. During the winter months we work on our equipment in our Winter Quarters. We play fairs, festivals, private and corporate picnics, spring break rentals, fund raisers, movie rentals, party rentals and more. There is no event too big or too small. Some of the events that we play include Newton Firemans Carnival in Newton CT, Trumbull Days in Trumbull CT, SavingRock Fest in West Haven CT, Southington Apple Festival in Southinton, CT, Cheshire Chamber of Commerce Carnival in Cheshire CT, Milford Oyster Festival in Milford CT, Orange County Fair in Orange CT, Unionville Fire Department in Unionville Ct, and Our Lady of Mt. Carmel Italian Festival in Enfield Ct to name a few. We can even supply an indoor carousel or train in your mall, store, or even your restaurant. 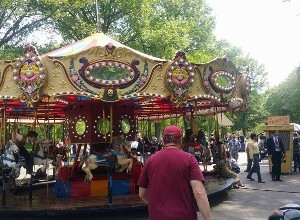 Marenna Amusements is now renting or leasing our new or antique carousels. Whether it is water front property, restaurants, malls or any other place that has the potential for high traffic, we can make it work. We offer maintenance programs as well as lease options for our permanent locations. Here is an example of a project we are currently working on. 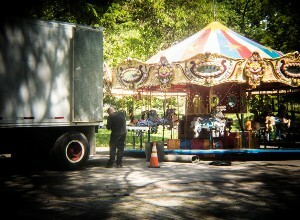 Marenna Amusements is also available for your next film or TV production. When we come to your production site, we provide everything from our professionally trained staff of ride and game operators to the power needed for our rides, food and games. 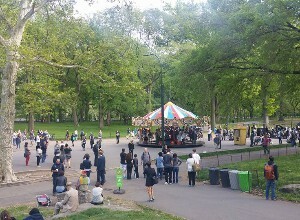 From one ride like a Merry Go Round to multiple rides, we can supply as many or as few rides as suit your needs. In April of 2016 we were part of the movie production for the movie Rebel In The Rye. 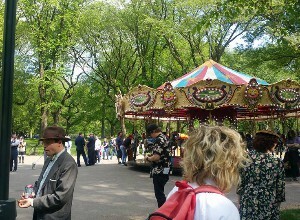 The movie featured our Carousel and was shot in Central Park in New York City. Our very own George Marenna Jr. even makes a cameo in the film. For more information on renting amusement rides and attractions, please call 203-623-4386 today! Marenna Amusements has formed another division of our company in developing a full scale amusement park. We are open to ideas from Municipality or private investors for developing a full scale amusement park. With 90 years of combined experience in the amusement industry, we can make it work big and small. We are currently in the proposal process of developing a park in Southern Ct. Click here for more information about this project.